Nursing is a field that lends itself well to the use of Situational Judgment Tests for recruitment purposes. Preparation and practice tests are recommended by governmental and industrial employers as a means of optimizing test scores. JobTestPrep will soon be offering expert preparation for the Nursing SJT through a comprehensive program which will include ample practice tests, along with analysis of competencies, and helpful tips that transform a difficult exam procedure into a comfortable and familiar test experience having a greater potential for success. The usual format of a Nursing SJT includes 25 – 50 real-life scenarios; each scenario is followed by one to three questions and three to five multiple-choice responses. The purpose of all SJTs is to compare the judgmental decisions of the applicant with the competencies required by the employer. There are generally no time limits to the Nursing SJT; and the structure of the test allows the applicant to guess at answers without penalty, as only correct answers are tallied in the score. Therefore, make sure to answer all of the questions. You can expect an interesting test that delves into the realm of the interpersonal relations of coworkers as well as other job-related facets requiring problem-solving and sound nursing judgment. The test itself is most often given online, however, video and paper & pencil SJTs are also administered. Most questions require the candidate to choose the course of action that is the most or least effective solution to the nursing problem present in the scenario. Some SJTs ask the applicant to check the course of action that he or she would most or least likely utilize when trying to solve the difficulty contained within the scenario. A third type of question is the request that the applicant provide a ranking or rating of each course of action on the basis of its effectiveness in addressing the scenario issues. Preparation is the known key to enhancing test results. JobTestPrep can be relied upon to offer a thorough and complete platform through which you can practice by working on tests that mirror actual Nursing SJTs. Remaining intact in this video is the multiple-choice format. The scenarios are all reflective of the constant demands placed upon nurses. The objective of the Nursing SJT video is to assess the core nursing competencies possessed by each applicant. 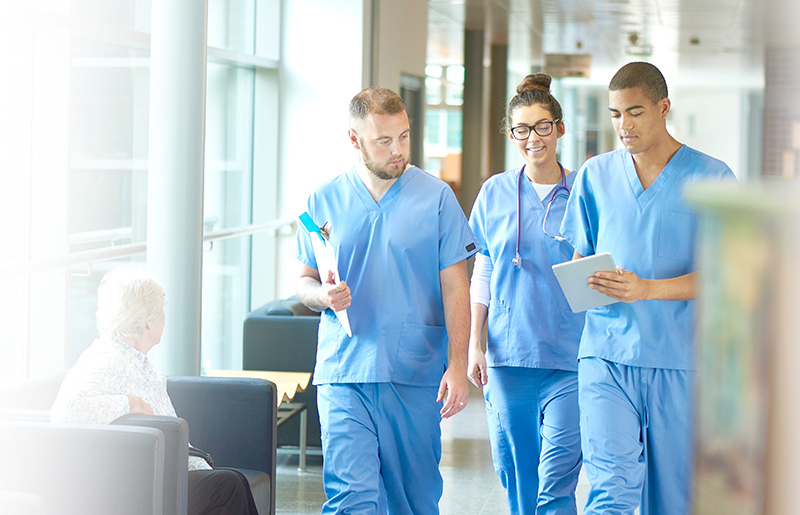 When taking the Nursing SJT, it is helpful to mentally plug into the core competencies and medical/ethical priorities established by the respective employer. The object of SJTs is to assess how nursing applicants respond to stressful and difficult situations. Read about more SJT tips here. Nursing SJTs are used as a screening device in the initial phase of the application process. Those who have not practiced on sample tests with questions similar to Nursing SJTs can easily be blindsided by the complex issues and detailed reality-based questions in the exam. JobTestPrep will soon provide preparation resources for the nursing field. In the meantime, we provide free practice SJT sample questions. The Nursing Situational Judgment Test, SJT, and other trademarks are the property of their respective trademark holders. None of the trademark holders are affiliated with JobTestPrep or this website.